In October of 1966, a coal waste tip slipped down the mountainside above the Welsh village of Aberfan and buried its school, killing 116 children. Within hours, the worldwide news media descended upon the village, stripping away any sense of deserved privacy and rendering 'the village that lost its children' a perennial destination for disaster tourism. 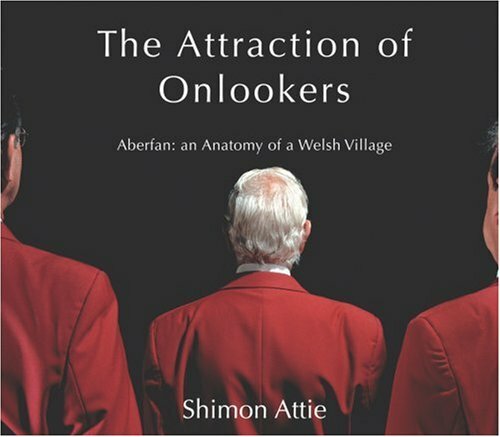 Shimon Attie's sensitive portrayal of Aberfan today takes the form of a five-channel high definition video installation and a body of still photographs in which the villagers 'perform' being themselves, in terms of their social or occupational roles. Thus, Attie subsumes the story of the disaster below a contemporary art historical narrative that helps normalize how the village is represented. This volume presents both photographs and video stills. It comes with a DVD featuring the award winning BBC documentary An American in Aberfan, as well as a short film representing the installation.